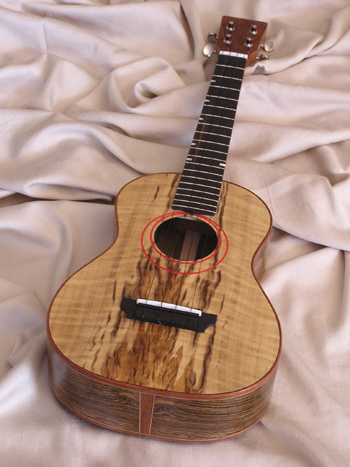 Be sure to click on the pictures to see more photos of the same instrument. 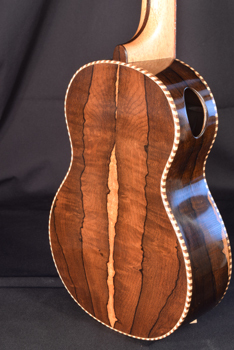 Tone - Beautiful, it's Koa! 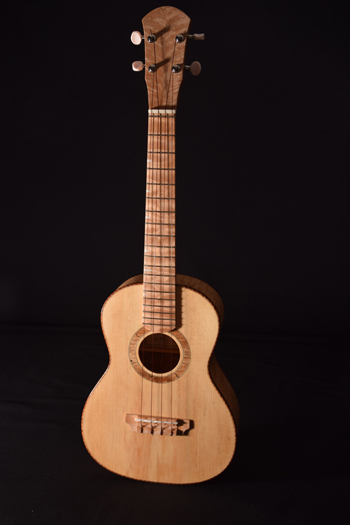 This instrument won a prize in an art show: 3rd place, People's Choice Award, ARTrails Exhibition Gallery, September 18, 2015, Centralia, Washington. 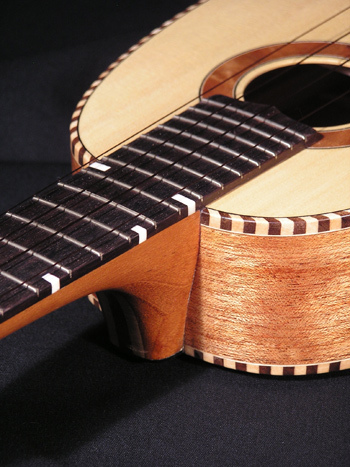 Scale length - 13.5" and 14.7"
Weight - 13.4 oz. and 14.4 oz. #18 sold in October, 2015. 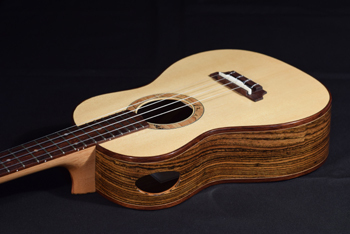 From the new owner, "Love the ease in playing your uke! 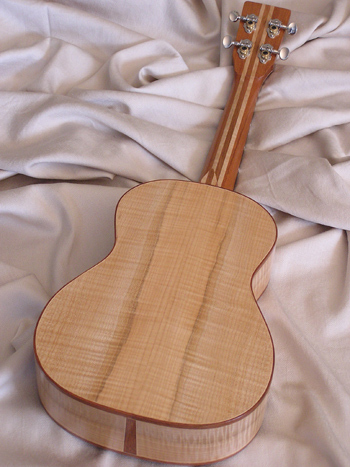 The intonation all the way up the neck is awesome! 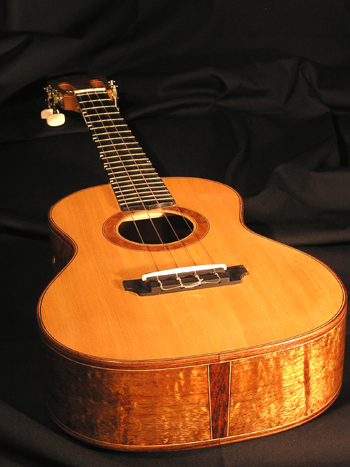 The quality of the instrument amazing and the beauty is striking. Loving my custom built super soprano #18!!!" 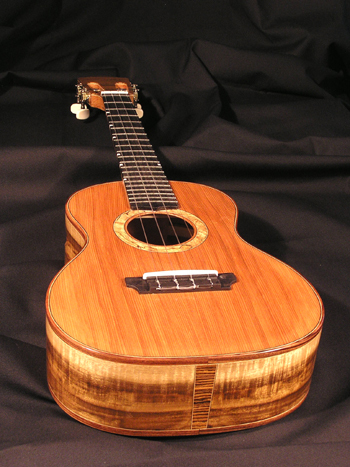 ~Arlene R.
I am having such a great time with my new Ebi Ukulele! 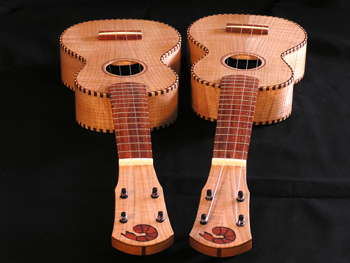 I rehearse with a local ukulele group twice a week. 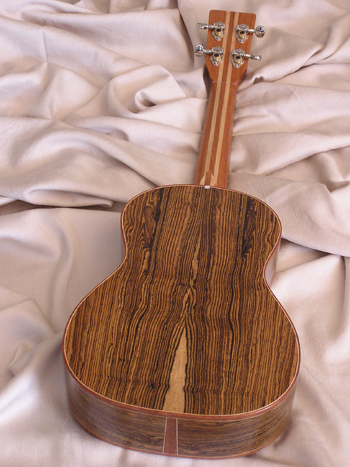 The first time I played my tenor with the group, they all marveled at the gorgeous woods it’s made of, the workmanship, the detail, and the beautiful sound. 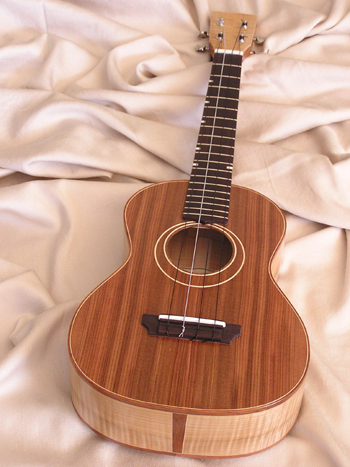 There is no other ukulele in the room that comes near the amazing sweet sound of my Ebi Ukulele. 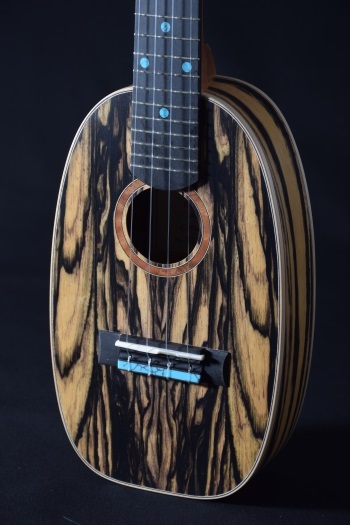 So, I am in Ukulele Heaven! 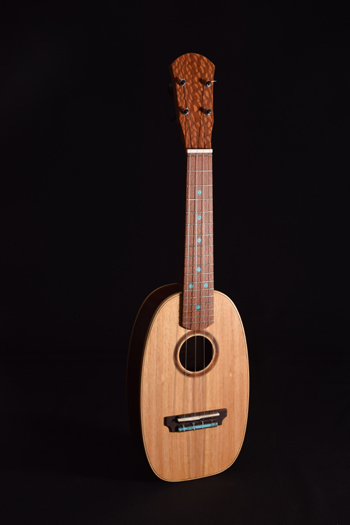 As a singer songwriter and playing guitar for years, the ukulele has now become the first instrument I pick up if I want to try something new with a song, or try a new song, or just play a few songs when I have a few moments free. YEAH… I’m really loving’ it! 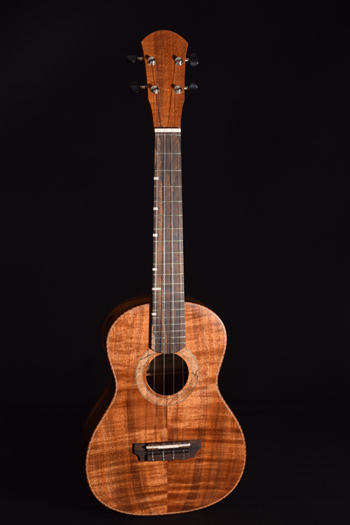 Thanks for a beautiful instrument!!! A 2017 video of Paul playing this instrument is available here. Weight - 1 lb. 7.3 oz. Click on picture for a video and more photos. Weight - 1 lb. 0.9 oz. Weight - 1 lb. 10.7 oz. Click here to view available instruments. 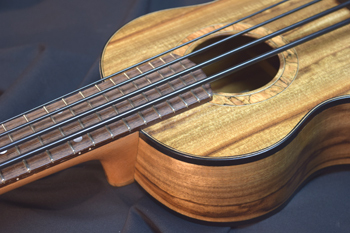 Copyright © 2013-2017 Ebi Ukuleles. All Rights Reserved.